Dr. Alan Bass earned his Doctorate in Podiatric Medicine in 1993 from the New York College of Podiatric Medicine. He performed his residency at Wyckoff Heights Medical Center. After a few short years, Dr. Bass returned to the New York College of Podiatric Medicine and served as a Clinical Instructor in the Department of Medicine. He also served as the Assistant Director of Enrollment Management. Dr. Bass is also a licensed pharmacist and served as former Director of Pharmacy Services for the Foot Clinics of New York, the largest foot clinic in the world. Dr. Bass has been Board-Certified by the American Board Podiatric Medicine since 1998 and re-certified in 2008. He is a Fellow of the American College of Foot and Ankle Orthopedics and Medicine. Dr. Bass has staff privileges at Centrastate Medical Center in Freehold and Raritan Bay Medical Center in Old Bridge. He also serves as the staff podiatrist for Brandywine Assisted Living in Howell, Chelsea Assisted Living and Bridgeway Care Center in Bridgewater. In addition to his practice Dr. Bass is the Medical Director for NEMO Health a privately-held investment company with a diverse portfolio of health care holdings centered around electronic health and medical records (EHR) and practice management systems. He is also the senior consultant for Collaborative Practice Solutions, LLC, a full-scale medical consulting company offering a wide variety of services to organizations of all sizes. 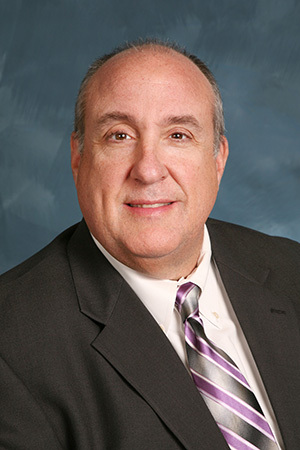 Prior to opening his office in Manalapan, Dr. Bass had his private practice in Hillsborough, NJ where he served as Chief Podiatrist and consultant on the medical staff of the Somerset Patriots Baseball Club of the Independent Baseball League. Dr. Bass holds a license to practice podiatry in New Jersey, New York, Georgia and Florida and has been a licensed pharmacist in New Jersey and New York for more than 20 years. He is married to Elise since 1994 and has 2 children, Jared and Allison. Looking for more information? You can also find Dr. Alan Bass on Google+. Our team here at Central Jersey Foot and Ankle Care, PC is friendly and accommodating. We promptly schedule appointments and do have same day appointments available. For patient convenience, we have a fully computerized and electronic insurance claim submission. Working with the doctors everyday is Gail. She will answer any questions you have and treats all patients with care and respect. Gail is available to speak with all patients regarding their care with the doctors. Gail handles all scheduling of patients, billing and collections as well as any other matters that may arise. Gail has over 10 years in the medical industry.